The photo seen on this tin was taken by Kathryn Klokker and is being used with permission. Check out her website at: www.christyscoop.com. Positively adorable! And arrived in such a cute package. I felt guilty opening it all up. 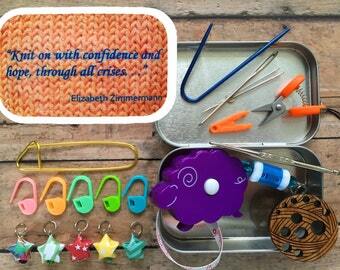 Knitter's Tool Tin - Kaleidoscope Yarn altered altoid tin with knitting and sewing notions! 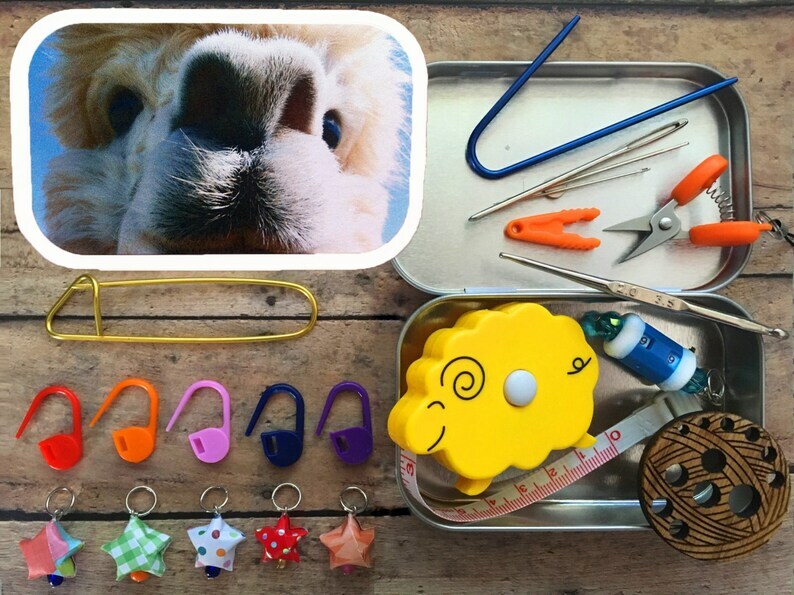 Knitter's Tool Tin - Knit Happy - Knit kit tin with knitting and notions for your WIP bag!